This book is the first systematic study of the Judaizers' (Subbotniks') popular religious movement in Imperial and Soviet Russia. 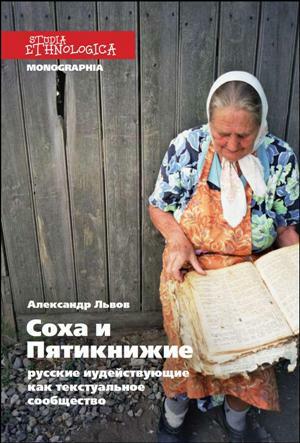 Part One of the book considers the emergence and development of the Old Russian sects (the Subbotniks as well as the Doukhobors and Molokans) in the context of written communication between peasants and state bureaucracies. The genesis of the sects in the 1760s is revealed as a by-product of religious enlightenment politics initiated by Peter the Great. Part Two focuses on relationships between Subbotniks and Jews which were mentioned by Russian authorities since the very beginning of the 19th c. Both the Jewish views on Subbotniks and the Subbotniks' appropriation of Jewish ideas and practices are examined as a sort of "cultural translation". Part Three analyses responses of the Subbotniks' textual communities to the temptation of identity which gained strength in the end of the 19th - 20th c. It deals with separation of the movement into the persuasions of "Karaites" and "Talmudists" and shows various attempts to prescribe them an ethno-confessional identity. Conclusion reviews the textuality as one of social forces and discusses its roles in Russian and Jewish cultures.